It’s a couple days before Christmas and you’re checking your list, making sure you’ve got the main course prepped, the sides are ready to be popped in the oven and then you realize you forgot the appetizers. Don’t worry, I’ve got you covered with an extremely simple recipe that will knock the socks off of anyone at your festivities. The ingredients are easy, but the presentation is where you will really wow them. You can prep them all ahead of time, or just arrange the individual ingredients on a cheese board and let your guests go to town as they get hungry. 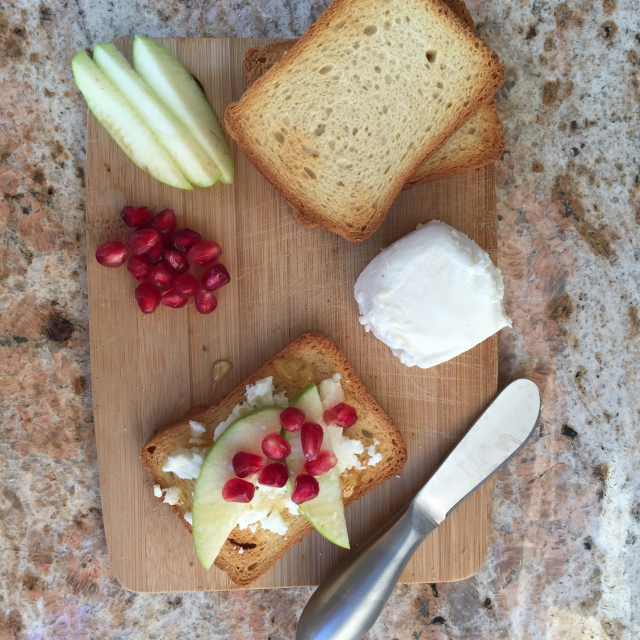 Feel free to swap in any of your go to cheese plate ingredients and make your own variation of these yummy toasts. Mix it up with some feta cheese and nuts or forget the apple and opt for a pear or some fresh berries; the possibilities are endless. 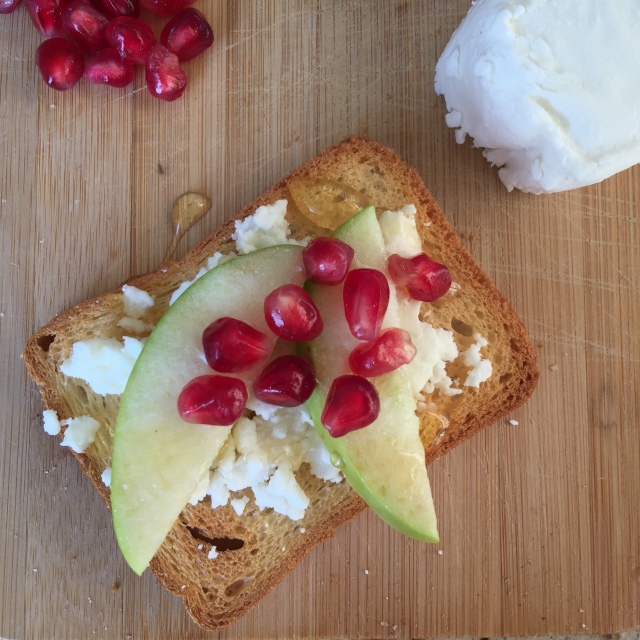 Spread goat cheese on toasts. Top with apple slices, pomegranate arils, and drizzle with honey, as desired.